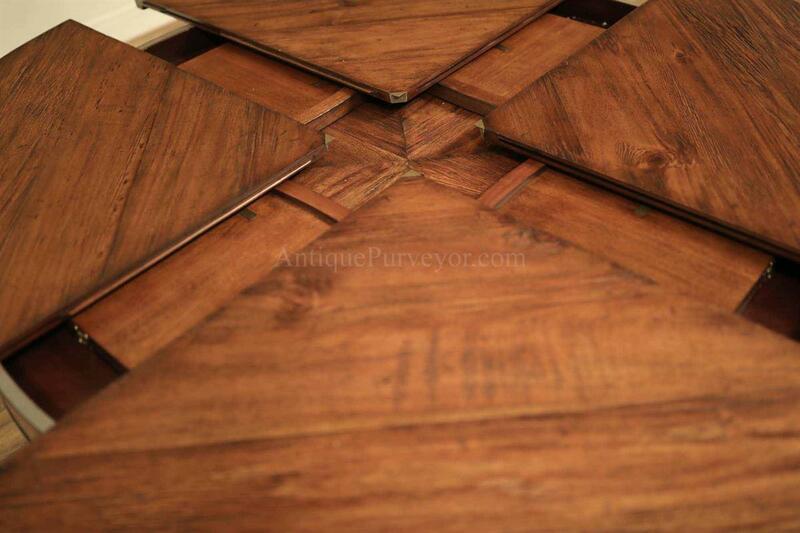 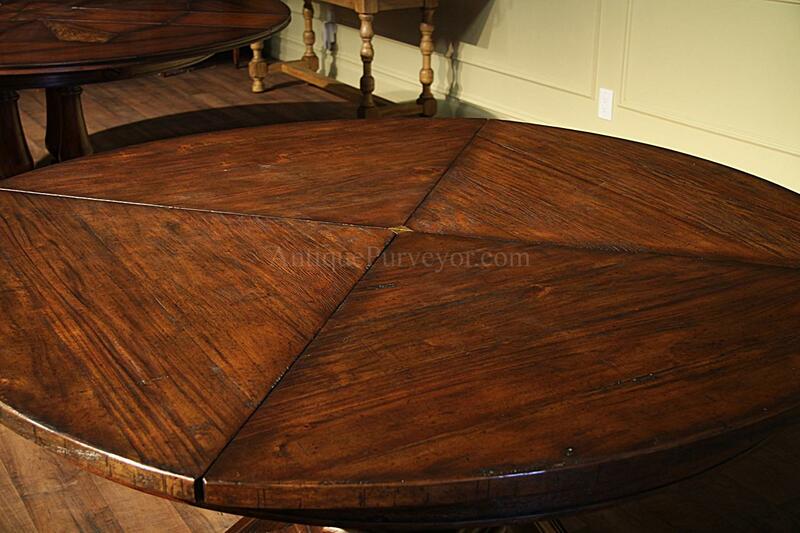 Walnut farmhouse table opened to its 74 inch configuration with leaves in place. 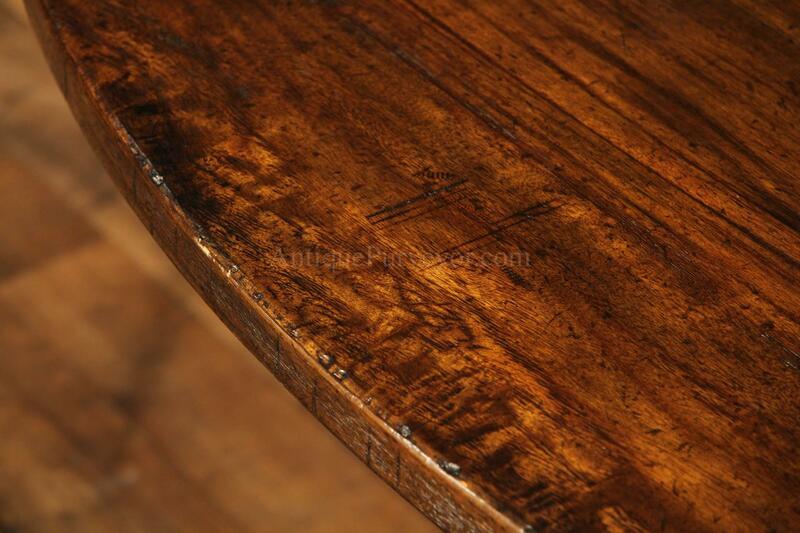 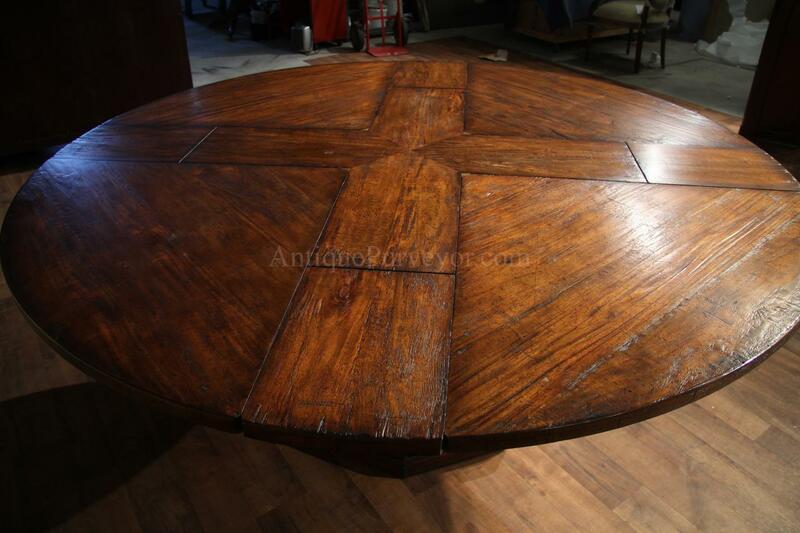 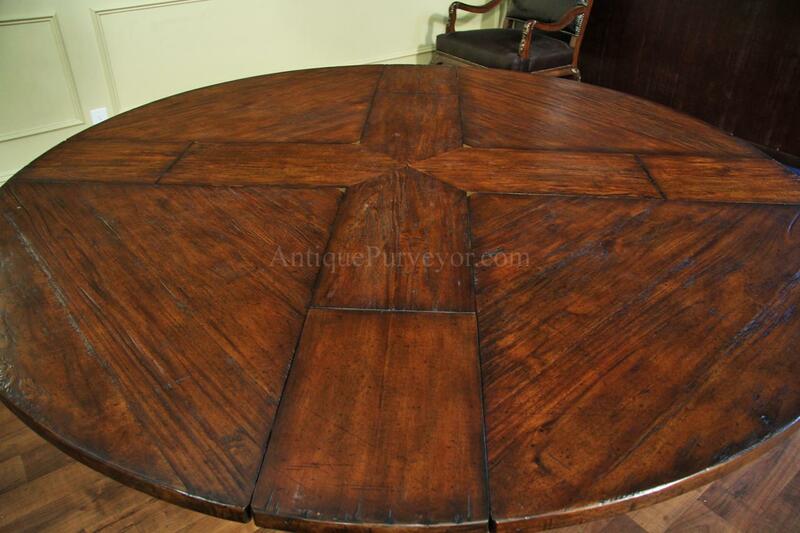 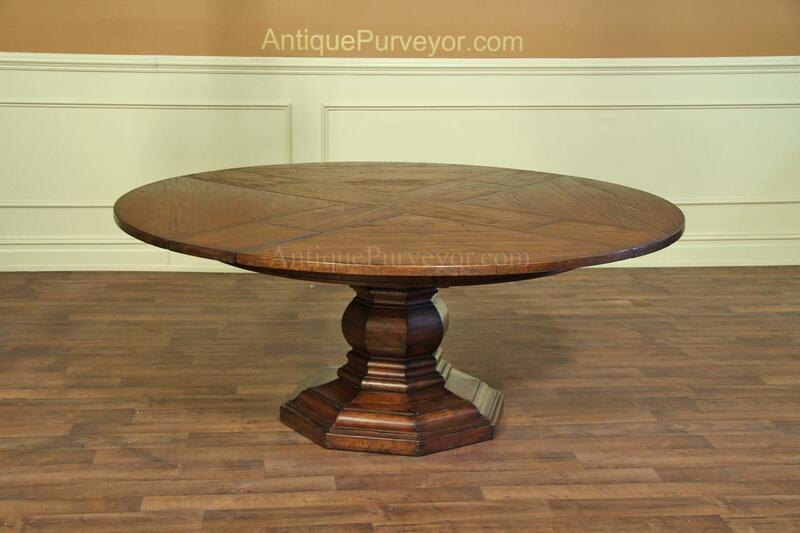 Rustic expanding round table with self storing leaves.Solid walnut table with turned pedestal base. 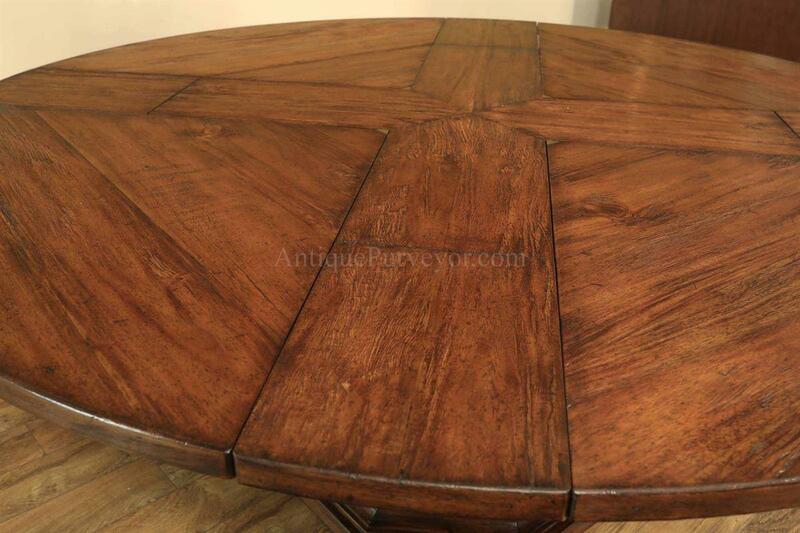 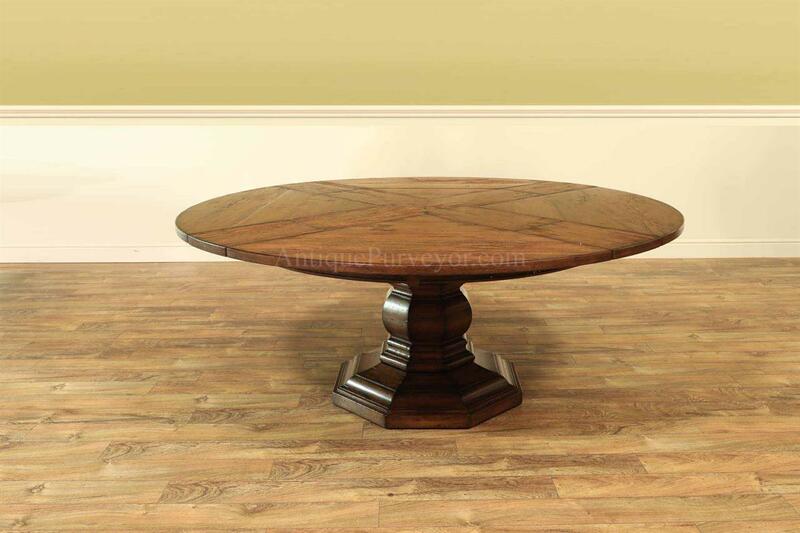 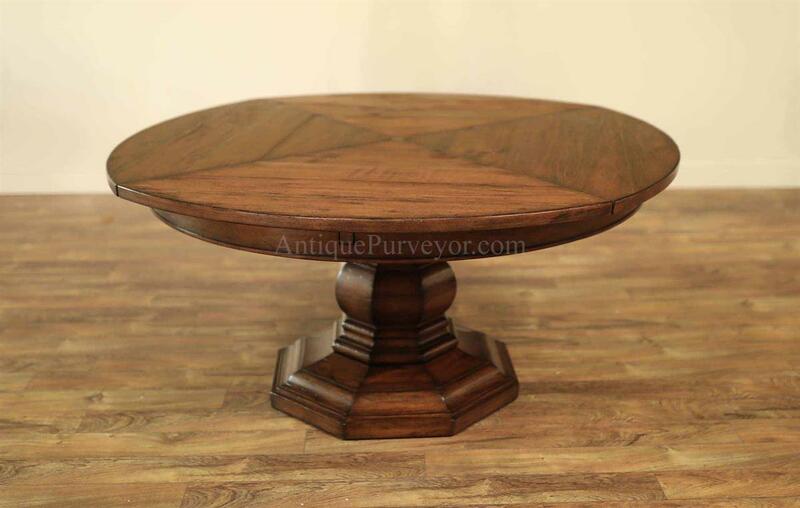 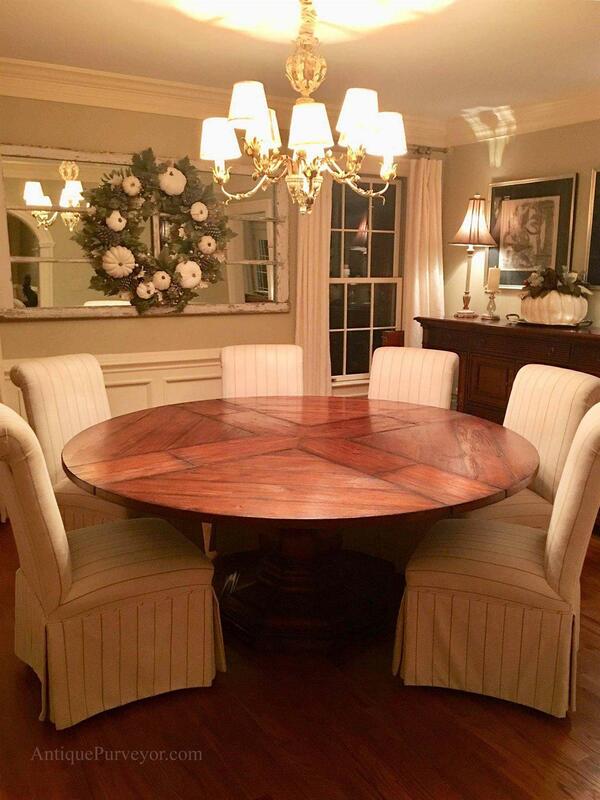 Description: Round country pedestal table can be used from 59 to 74 inches round with self storing leaves. 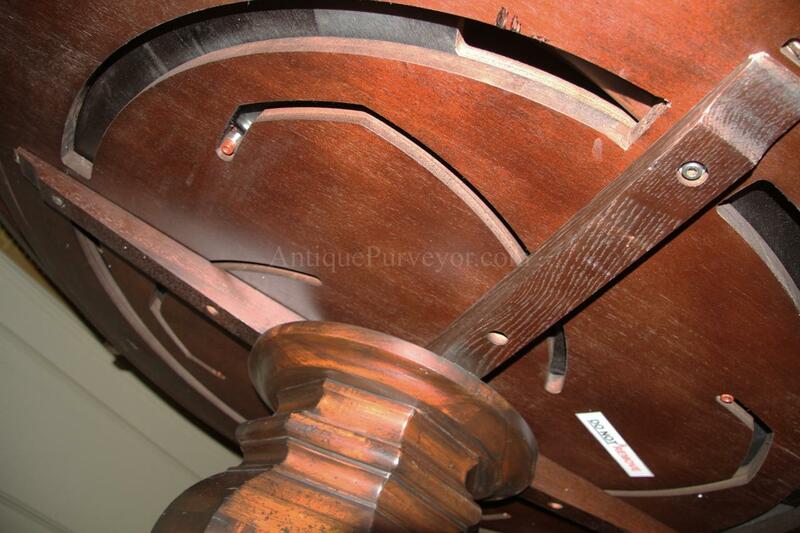 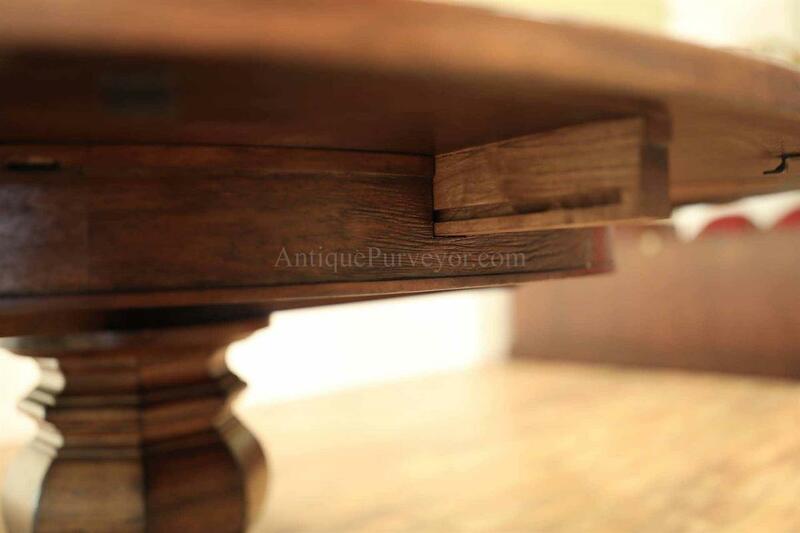 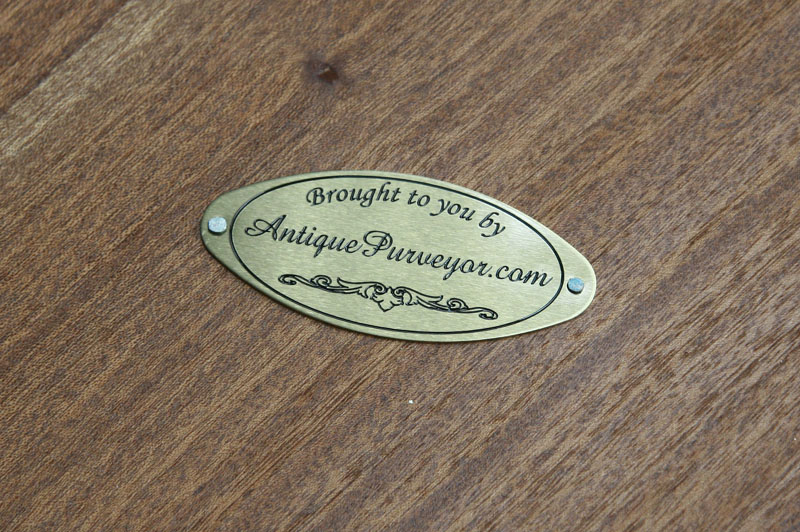 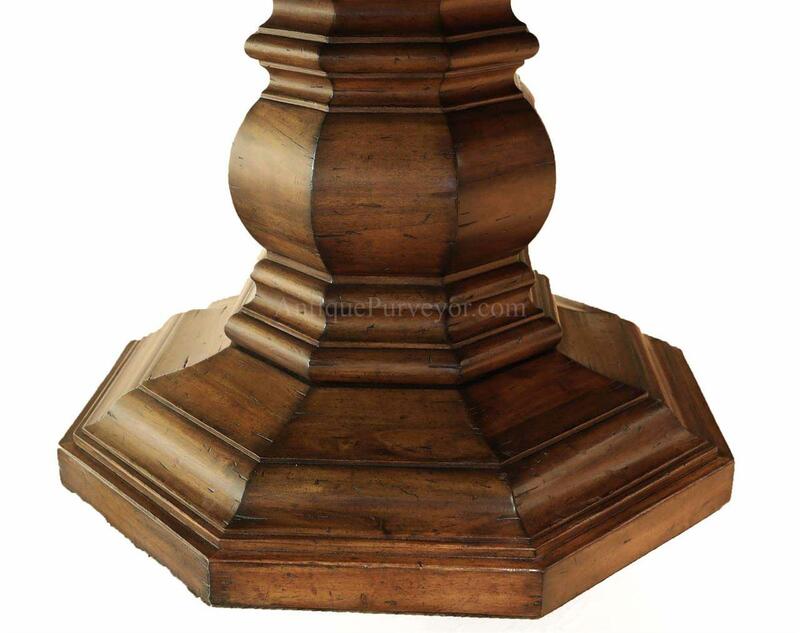 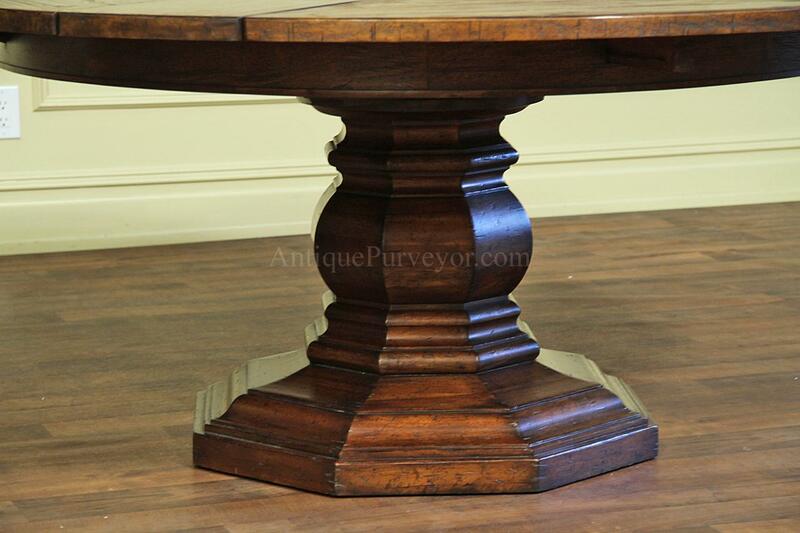 This table has a very large and heavy pedestal which hold the table stable whether the table is opened or closed. 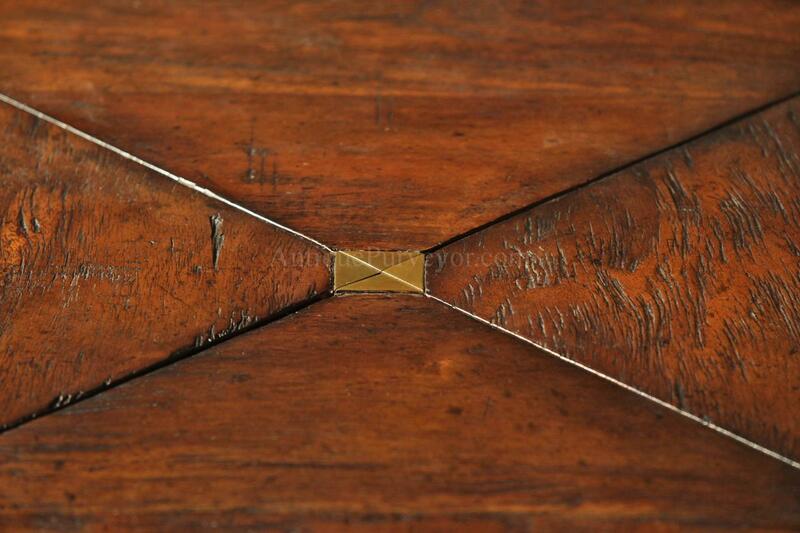 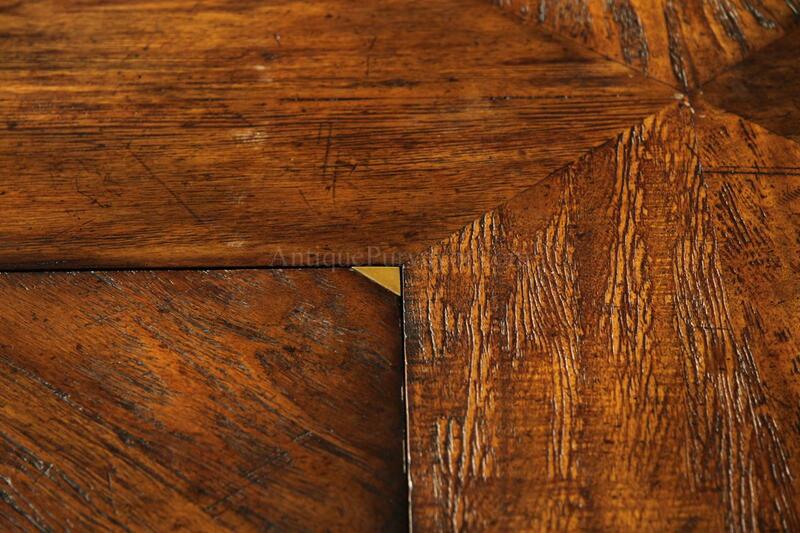 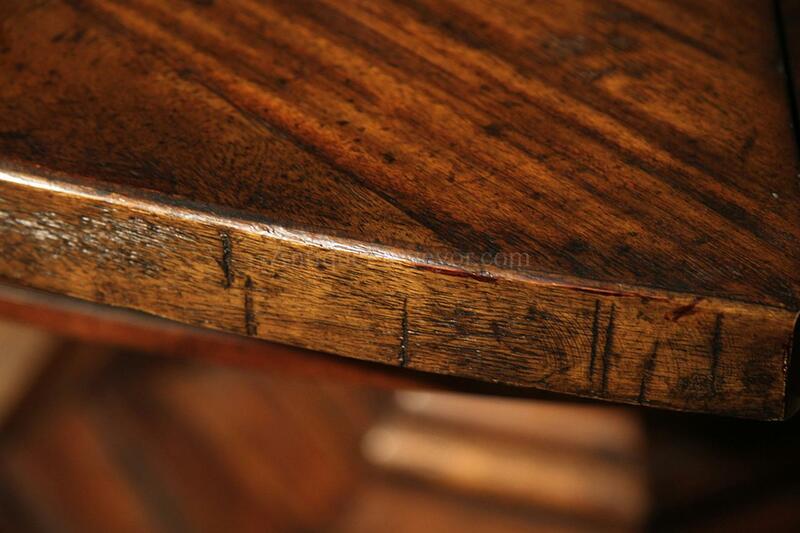 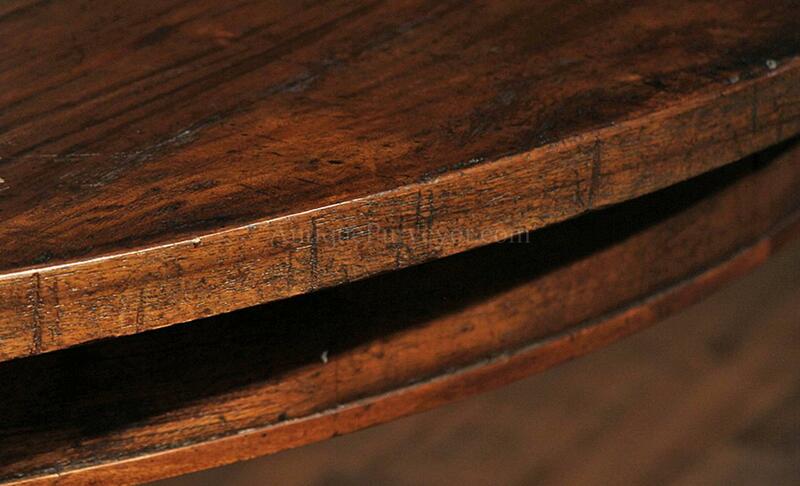 The finish on this table looks like genuine reclaimed wood and will fool most anyone who looks at it. 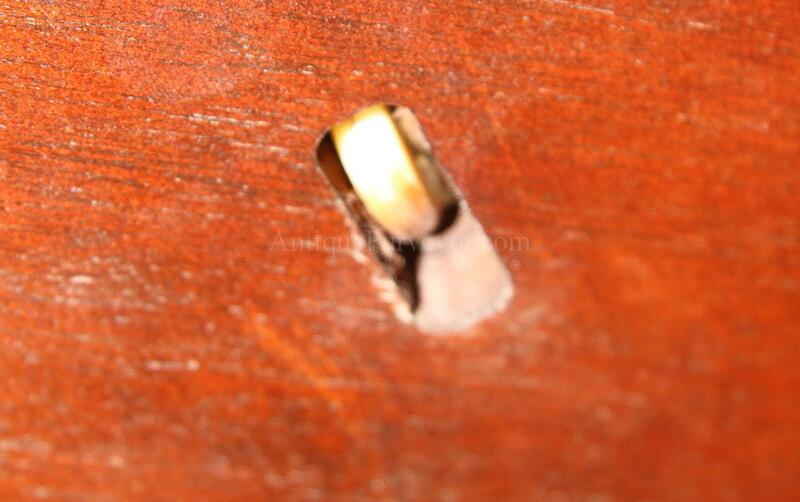 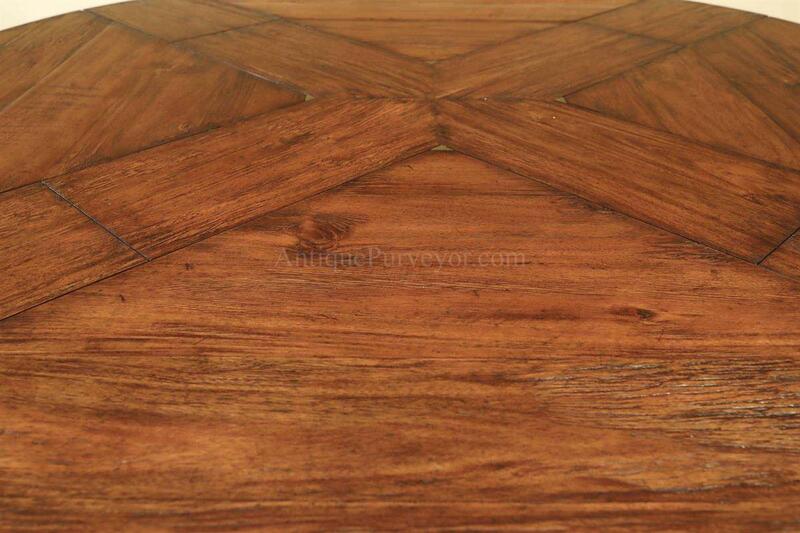 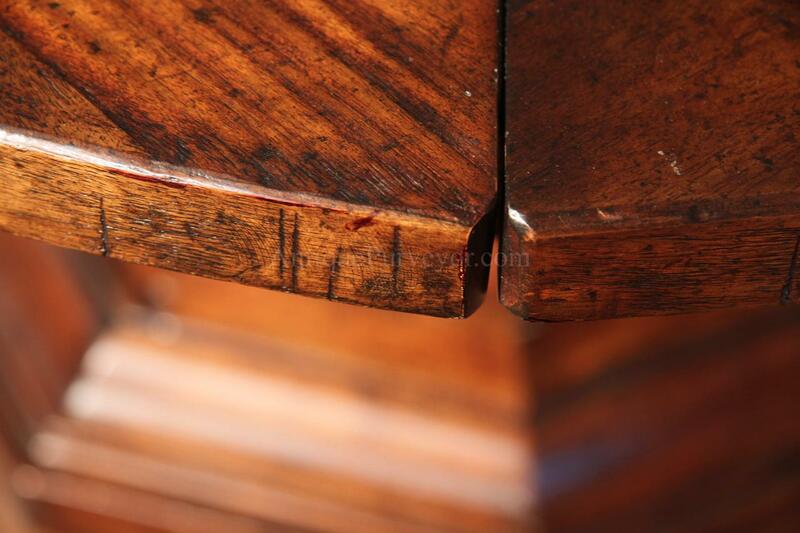 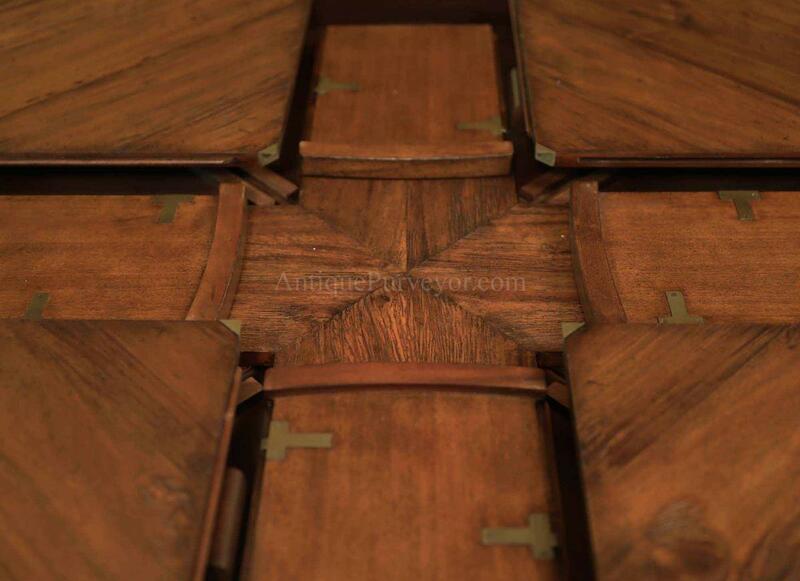 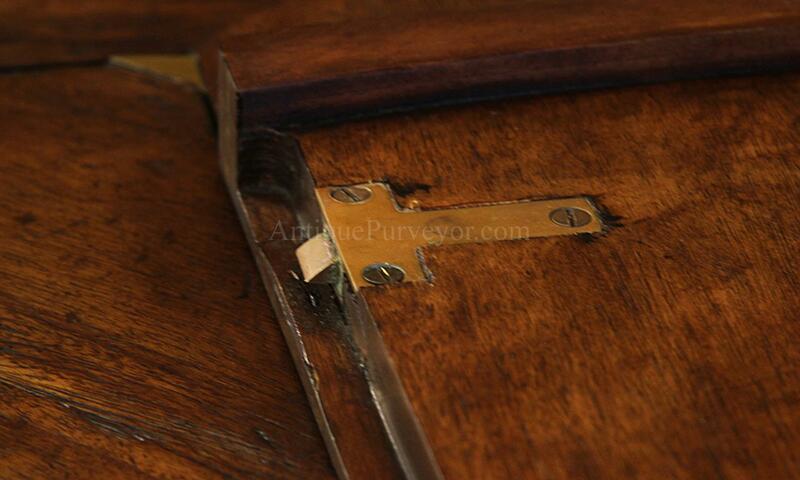 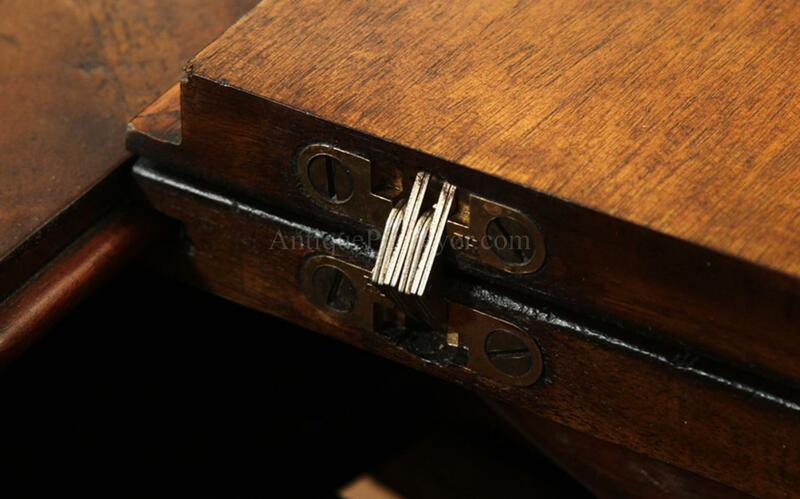 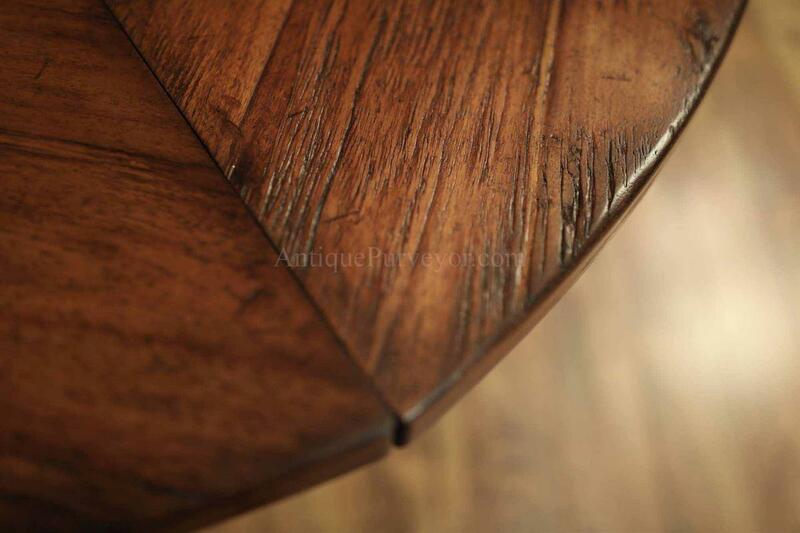 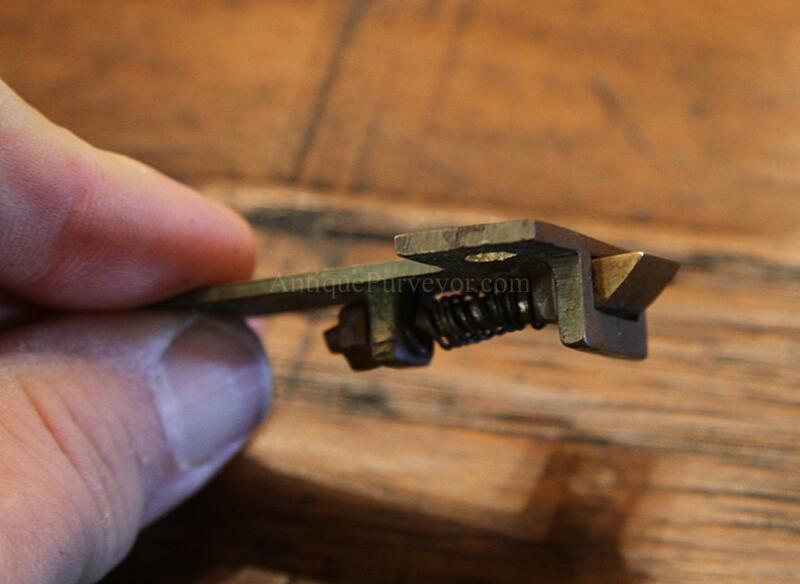 It is well made furniture and finished professionally.